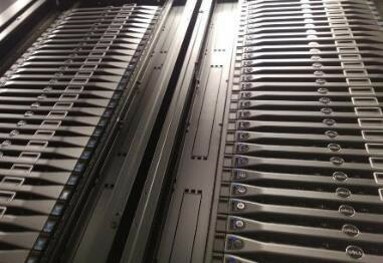 The Dell EMC Zenith Supercomputer is on the Top500 supercomputer list as a headline system in the company’s HPC and AI Innovation Lab. Dell EMC is a powerhouse HPC vendor. The company has been servicing high-end supercomputing sites and HPC customers for years. The company’s internal labs help customers select the best solutions and one of the centerpieces is Zenith. Ranked at #265 on the June 2018 Top500 supercomputers list. The system utilizes an Intel HPC stack. It is one of the systems that features Intel Xeon Gold CPUs with Omni-Path fabric. Specifically, the system utilizes Intel Xeon Gold 6148 CPUs which are popular HPC models. There are a total of 422 dual Intel Xeon Gold 6148 nodes along with 160 Knights Landing Xeon Phi (7210, 7230, 7290) nodes. The combined system is capable of 1.0 PFLOPS/s sustained performance and 1.58 PFLOPS/s theoretical peak performance. Intel is a major Dell EMC partner, so seeing an impressive R&D system like this is somewhat expected. Still, it is great to see that Dell EMC has invested in building a high-end supercomputer for its customer evaluations. The Dell EMC HPC and AI Innovation Lab is a 13,000 square foot facility that houses the Dell EMC Zenith supercomputer. It also has clusters with other types of compute. An example of this is the Dell EMC Rattler cluster which is an NVIDIA GPU cluster. The GPU cluster is focused on advancing HPC, data analytics, and artificial intelligence applications. Dell EMC is collaborating with NVIDIA using the cluster as part of the NVIDIA Deep Learning Institute. It is not just compute hardware that the lab showcases. 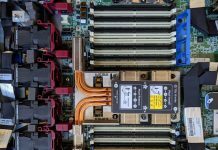 For example, the company announced a collaboration with CoolIT Systems to validate a liquid cooled rack based on the Dell EMC PowerEdge C6420 server platform. With future generations of CPUs, TDP is going way up and liquid cooling will be required in order to maintain density. The Dell EMC PowerEdge C6420 servers work with CoolIT Coolant Distribution Units (CDUs) and Rack Manifold products using water for cooling. This greatly simplifies data center design versus solutions that need to provide chilled water.